Top Rated. 5-Stars. 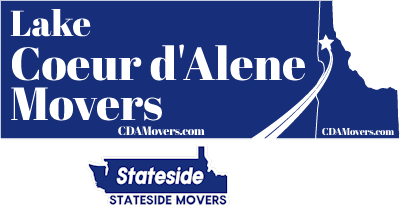 Serving Lewiston with Professional Moving to or from Coeur d'Alene. Call Today. Free Quotes! Personalized, Five Star Service. Welcome to Lake Coeur d'Alene Movers. America is on the rebound and people are moving. The new energy has opened up old dreams and "seize the day" is working. Moving to a place they only dreamed about, looking for new and exciting surroundings such as Lewiston, Idaho where economic opportunity and recreation combine into a new lifestyle are sending many to Northern Idaho. Trusting your long distance or interstate move to a five-star mover is the way to go. Your belongings are a big part of your life and moving them safely is serious business. It is important to select your mover with care. 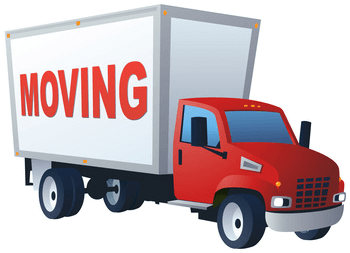 In most States, long distance movers must be licensed and all interstate movers are under the jurisdiction of the US Department of Transportation. Why take unnecessary chances with a mover who has your household goods in their care. Finding the right over is a serious job, and five-star ratings are the sign of success you want to see. Lake Coeur d'Alene Movers / Stateside Movers LLC has worked for and earned the recommendations of satisfied customers. Because of its location on the confluence of two major rivers, Lewiston can accommodate large, ocean-going ships. This makes it an asset for its agri-business economy, cutting the shipping costs for crops for farmers and brokers. Centrally located in Northern Idaho this city, Idaho's ninth largest offers a great mix of economic and recreational opportunities. Residents vacation at home, adventure is right outside your door here with lakes, mountains, and forests. Hell's Canyon Recreation Area is close by, this natural wonder is America's deepest canyon. Most of those who have moved long distances agree that packing and unloading are the hardest part of the experience. Time is of the essence in moving and it is a disruptive experience as much of what you use daily is being packed and this adds to stress, fatigue, and other bad feelings. Having your mover pack and load/unload your possessions makes it all go smoother and faster and actually cheaper. Trying to figure how many boxes, tape and passing for glassware and dishes is almost impossible for most of us. Lake Coeur d'Alene Movers / Stateside Movers LLC will pack and get your load on its way, secure and safe. DIY moves cost more in the long run. Stress, fatigue, travel expenses, and possible injuries from repetitive motion and heavy lifting are only a few of the things that can ruin a move. Stateside's experienced and professional Lewiston long distance movers will "carry the load" long distance or interstate. We earned our five-star rating the hard way: through satisfied customers. 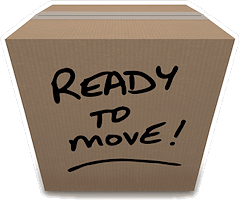 Lake Coeur d'Alene Movers / Stateside Movers LLC is ready for your long distance or interstate move to (or from) Lewiston.